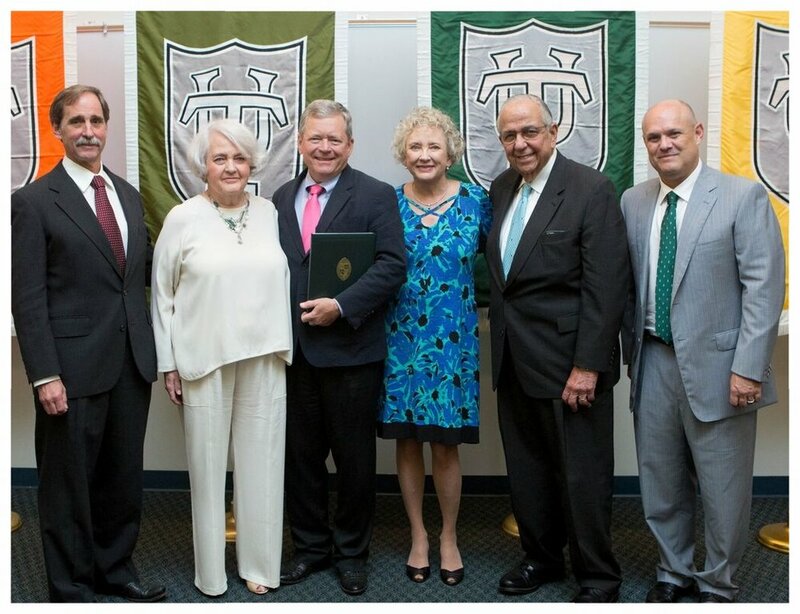 On May 22, 2018, Tulane Orthopaedic faculty, residents, and friends gathered to congratulate our Total Joints orthopaedic surgeon Dr. Fernando Sanchez as he was awarded the title of the Bette and Jack Kenneth Wickstrom Professor of Orthopaedics. Dr. Sanchez is very dedicated to our othopaedic department, and is a fantastic physician towards all of his patients. Dr. Wickstrom's children, Cindi Wickstrom Wright, Charles Wickstrom, and Merrilee Wickstrom Kullman, gathered to award Dr. Sanchez with the title. Congratulations, Dr. Sanchez, on such a huge honor!